A collared Yellowstone Druid Peak Pack member in 2000 (Photo by Doug Smith)Since 1996, when five wolves from a second phase of the reintroduction banded together upon release, the Druid Peak Pack has been a fixture in the Yellowstone wolf world. Wolf-watchers eagerly followed the epic struggles of the pack as intently as any reality television show and their dramatic exploits have been featured in many documentaries including Return of the Wolf and In the Valley of the Wolves. In their heyday in 2001, the Druids numbered an amazing thirty-seven wolves and visitors watched in awe and delight when they paraded across Lamar Valley. Sadly this legendary pack, which became leaderless last fall with the death of its alpha female, may soon be regulated to memory and pages in history books. After struggling with disease, invasion from other wolf packs, and malnutrition, the pack has dwindled to a sole survivor—black yearling female 690F, herself mange-ridden and food stressed. During an interview this past January, Smith commented on the Druid’s condition and pronounced them in bad shape. Since then their decline has worsened rapidly. Smith observed, “we saw them eating snow and that’s a bad sign for sure.” Last month, the alpha male wandered away (some speculate that he left because the only mating partners remaining were his daughters). Adding even more challenges, the Silver Pack moved into the Druid’s territory, and killed at least one known pack member. The disappearance of the Druids certainly marks the end of an era, but the torch of the reigning Yellowstone pack is being passed on through the unsympathetic race of natural selection. 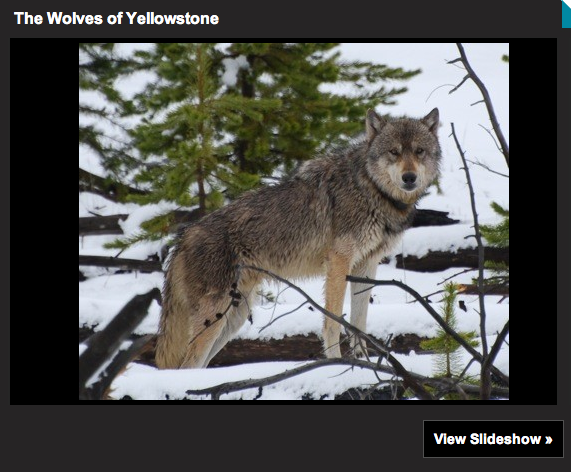 Perhaps Mollie’s Pack, with its amazing ability to hunt bison and its magnificent alpha male, 495M, the largest wolf ever recorded in Yellowstone at 143 pounds, will be the next to dominate the park—and gain a celebrity following.